Listen To The Birds Sing: A Wee Giveaway! 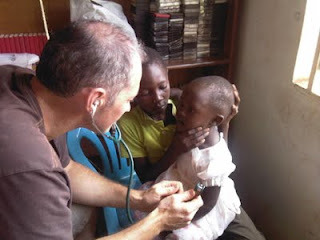 A couple of summers ago my husband & I went with our children to Uganda to work in an orphanage. The fabric are four fat quarters from Lila Tueller's Santorini line... This has a lovely, vibrant tone. The book is "Organizing Your Craft Space" by Jo Packham which is beautifully illustrated & very inspiring if you are surrounded by fabric, threads, freezer paper, notes... not to mention the sewing machine... or maybe I'm the only one who struggles to control the clutter! The giveaway will be open until Thursday 15th September 12MD GMT when I will do a post announcing the winner. If the winner has left me an email address I'll email them as well. I love the Izzy & Ivy patterns! I am liking the clothing designs be Make It Perfect. I had never heard of Artfire before. I will have to have more of a look. Thanks for the giveaway. I love the Melly and Me Softie patterns. I had never seen them before and they are lovely. Thanks for the giveaway, The bbok looks gorgeous. Fingers crossed! 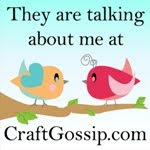 I love the Hooty and Tweet pattern - very cute! Melly and Me make such nice patterns! Thanks for the giveaway! Love the Izzy and Ivy patterns, and I hadnt actually seen the Melly & Me bag patterns before, they look good! Thanks for the giveaway, I'd so love a look at that book! I love all the Melly & Me patterns. I am pondering the Oliver & S patterns seen everywhere at the moment, but am just a tad too scared of mucking up that much fabric! I love the Shearwater patern and I'd love to see a few more clothing patterns! I like the weekender bag pattern - so intimidating but I'd love to be able to do them! I follow you in my RSS feed! Let me enter, please! I'm a follower (now). I don't know how I was not following you before as our paths have crossed several times. Glad we got that sorted out! Whew! Hootie and Tweet steal the show! They're great! I love Dilbert the Dinosaur - too cute! And I've followed you here from the Goodie Swap and now im signed up to follow you on gfc, it just wont let me post a comment with my google id! I love the Make it perfect pattern, especially the Sheerwater top. Wow! what a great thing to do with your family. I like Make it Perfect and the Shearwater Kaftan shirt. 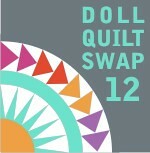 I follow you via GFC and from the GOddie Swap! Congratulations for your and your family work with the Uganda's children!! I will follow you now and I loved "Celebrate The Season Stitchery Pattern By Cottonway"